Half, One, Uno, Two, Dos, Three, Four, Five or Six? 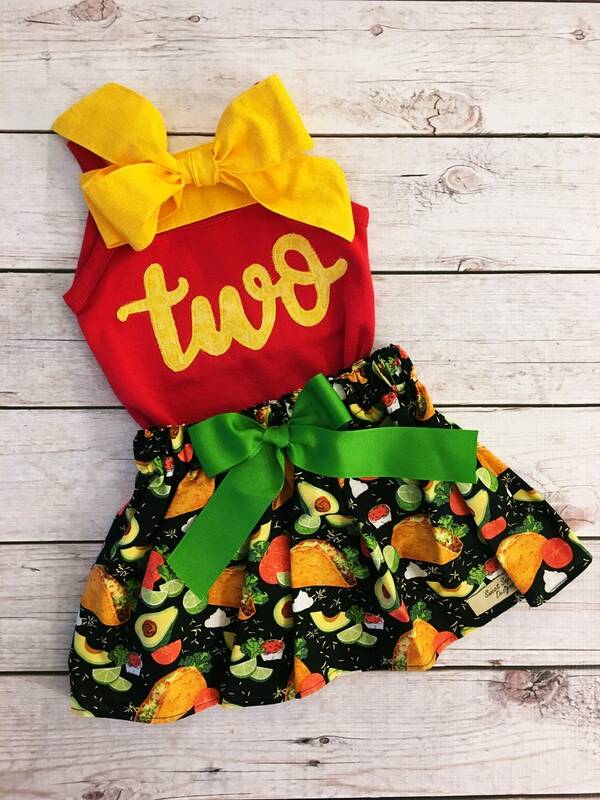 Outfit was perfect for my daughters taco twosday birthday party! Adorable outfit but the top (2T) definitely ran on the smaller side. Wish i had sized up 1-2 sizes to get more wear out of it.